Despite a lot of interest in the project and strong reviews, Paul Feig’s Ghostbusters reboot couldn’t quite overtake The Secret Life of Pets in its second weekend. The Secret Life of Pets, which debuted to $104-million, came in first again, with an estimated $51-million. (It also makes for the fifth weekend in a row to be dominated by an animated movie.) After ten days of release, Pets has fetched $203-million. 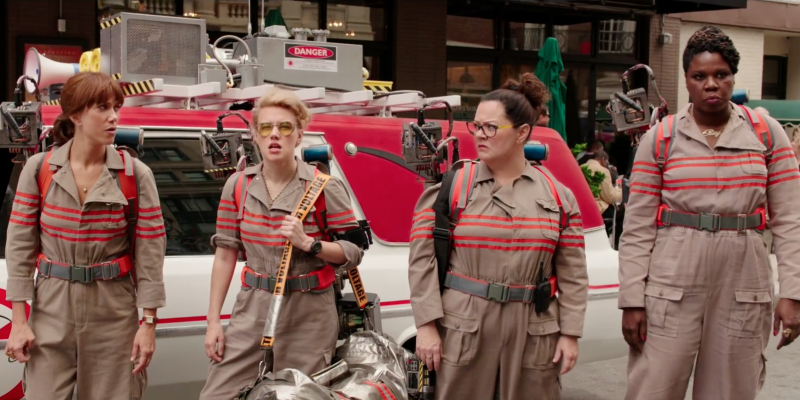 Ghostbusters overcame the online haters to debut to an estimated $46-million, which may not have been enough to win the weekend but still marked the largest opening for Feig or Melissa McCarthy. The Legend of Tarzan continued its good word-of-mouth and came in third place with an estimated $11-million, pushing the intended franchise launcher past $100-million domestically. Finding Dory also added an estimated $11-million, which just so happened to earn it the prestigious title of Highest-Grossing Animated Movie Ever (Without Adjusting for Inflation and Just Domestically Speaking). Dory‘s North American cume is now $446-million, besting Shrek 2, which had held the record for 12 years with a gross of $441-million. It should be noted that it took Shrek 2 five months to achieve what Finding Dory has now done in one. The weekend’s other new wide release, the Bryan Cranston-starring The Infiltrator, pulled in an estimated $5.3-million, earning it a place just inside the top 10.